Rabbi Paula Marcus will be sharing personal LGBT family stories as well as her experiences in working with Twice Blessed, Temple Beth El’s outreach to LGBT Jews celebrating gay pride through holiday gatherings, panel discussions and support for gay Jews and their families, and Out In Our Faith, a coalition of more than 23 open and affirming places of worship in Santa Cruz County working to foster a positive and welcoming environment to all people. 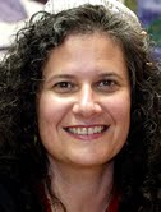 Rabbi and Congregational Cantor Paula Marcus has served Temple Beth El in Aptos since 1979, first as a teacher in the religious school and the preschool, then as a co-principal of the religious school, then as a congregational cantor, and as of May 2004, as a Rabbi. She was ordained as a Rabbi in May, 2004 by the Academy for Jewish Religion in Los Angeles. She has apprenticed with cantors in the U.S. and Israel, and she received her BA in Judaic studies from SUNY at Binghamton. She also has a Masters Degree in Rabinic studies from the Academy of Jewish Religion. She demonstrates her commitment to exploring Jewish prayer and learning as rabbi, cantor, worship service leader, and teacher. Rabbi Paula sees Jewish practice as an ongoing, joyous celebration of God and ourselves. Rabbi Paula is involved in all aspects of the congregation. For more information about Temple Beth El, Twice Blessed and Out In Our Faith, visit www.tbeaptos.org. To reach Rabbi Marcus, call (831) 479-3444 or email pmarcus@tbeaptos.org.